While traveling by air is fast & convenient (as well as a huge novelty for me), sometimes problems occur that make your flight/flights extremely stressful, expensive or inconvenient. From delayed flights to missed connections, I’ve experienced these scenarios a few times. This was one of those times. I had spent a few days in Victoria Falls & I wanted to go to Harare to spend time with my grandparents before I flew back home. I had initially booked & paid to fly to Harare on the Saturday, but that flight was cancelled a few weeks before the trip & the airline rebooked me on a flight on Sunday. I should also state now that although I had flown with them as a child, I had specifically gone out of my way to avoid flying with Air Zimbabwe due to their reputation. The day of the flight, I had arranged for an airport transfer company to collect me with enough time to spare. True to “African time”, the company picked me up late. This meant that I got to the airport while check-in was open, but not for very long. I went to the airline’s counters & presented my ticket & ID. The check-in agent couldn’t find me on her system; I wasn’t booked on the flight. This was really confusing because I had been issued a ticket for that flight so she sent me to the airline’s ticket office. By the time the office workers got to serving me, check-in for my flight had closed. As mentioned, it was Sunday so trying to get hold of someone at head office proved to be a huge waste of time. Finally, after waiting for ages, the office workers figured out there had been an administration error on their side which resulted in my booking & ticket getting cancelled. By this time, the flight had left. I still needed to get to Harare, but there was only one more flight for the day. To my horror, an Air Zimbabwe flight. I had no other option, I had to buy a ticket for that flight. The Air Zimbabwe saleswoman was very friendly to start off with, but that changed when I innocently asked “Will the aircraft show up? Will this flight actually happen?” I felt like these were valid questions given the reputation of the struggling airline. She disagreed, she was highly offended. She began a very long, loud rant about how “Zimbabwe can’t move forward with people like you maintaining a negative attitude.” Fortunately, I had paid & I had the new ticket. I felt very awkward & I was struggling to suppress another one of my inappropriately timed giggling fits so I said goodbye & left. As it turned out, that flight was in fact delayed. There was no working aircon so it felt like I was in a sauna. We had an aborted take-off complete with screeching brakes & screaming passengers. Needless to say, I was very relieved to see my uncle & grandparents in Harare later that day. What is the moral of the story? I’m not so sure I have one. What do you think the moral of this story is? Let me know. Yikes! Well, I don’t think you are being unfair in saying that Air Zimbabwe is unreliable, although when my trip depends on the good graces of an airline ticket agent, I do tend to keep my mouth shut. Glad you made it to your grandparents place safely! I learned that now haha… thank you for reading! I understand what you mean. Where in Africa did you travel? Just SA, Zim and Zam. A single trip, but flew with South African or British (Comair?). Really enjoy Zim around Vic Falls. Would love to return. How did you find flying with SAA? I found it to be a fine experience. Flew coach from LHR to CPT then back through JNB. Tight seats but the best airline food (coach) I’ve ever eaten. Inside Africa we were always upgraded to the big recliner first class seats. Flights were short so it didn’t matter. I wouldn’t hesitate in flying them again. Thank you for taking time to read my post. I was quite stressed, but sometimes you have to just let things be &, like me, see the humor in the situation. I can absolutely relate, which airline was it & were you traveling in India for work or pleasure? It was meant to be pleasure, but a bit of a budget trip, and I found it hard to relax seeing all the poverty. I understand what you mean, it is unfortunate that you experienced that. Dear Dan, there is a believe that all that happens to you in life you attracted yourself, with the power of images in your mind and by the power of your thoughts. You actually attract everything you are thinking about. The greatest teachers who ever lived told us that the law of attraction is the most powerful law of the Universe. Nikola Tesla said: “We get exactly what we expected to get” I truly believe in that statement, thanks to my own life experiences. Whenever I got into something with the believe that it is not going to work the way I wanted, it happen exactly like that. When ever I get into something with a lot of love, excitement and the believe that it is going to be success I experienced success. You expected the horror and you got it. I find your post very inspiring though. Hi there, thank you for this comment, it certainly gives me a lot to think about. The mind is powerful. I think the moral of the story is that traveling is unpredictable especially in countries such as Zimbabwe. Hopefully your experience teaches you something about patience and that sometimes, things do not always go as planned (even though it is really unfair towards you!). Safe travels! I think that is a perfect moral to the story, we can never have enough patience. 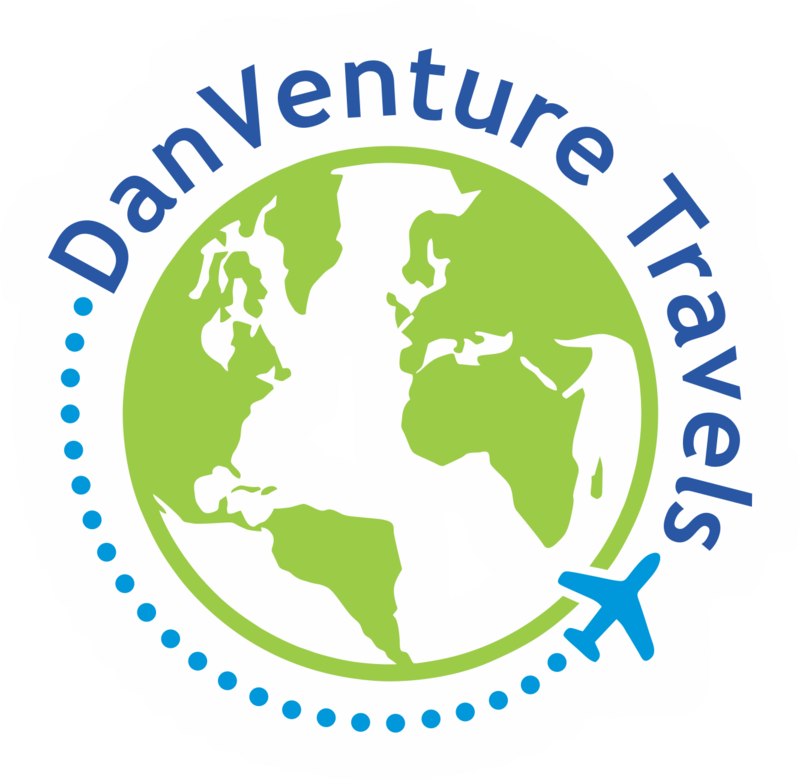 Dan, your story illustrates the need to be flexible and to not let things irritate you while traveling. I absolutely agree with your statement. Thanks for sharing. We had a recent trip to Paris canceled for no reason and the airline was unable to accommodate us on another flight. After reading this, I think it was for the best. Glad you got there safely. It is so unfortunate that your whole trip was canceled, I can’t imagine the disappointment. Have you been to Paris before? No, that’s what made it so upsetting. We were inflexible with travel dates as the girls were heading back to school. Hopefully soon! If something can go wrong, it will! So, prepare to go with the flow? Thank you for reading & leaving this comment! It’s so sad as a Zimbo seeing such! Your experience is very unfortunate, and one wishes our government would see the need to make this a viable airline again, but alas! Glad you arrived alive though! I’m sure things will start changing soon, they’re bound to. Thanks for reading! No they don’t, you cant use one experience and generalize it for all the 54 countries. The aviation industry is unpredictable. Being on both sides I can gladly confirm it’s not only an African thing when it comes to disruptions and inconveniences since it’s bitter sweet. My moral for your story is be patient and go with the flow, it’s never that serious you know. Yes, I understand what you ate saying. Thanks for taking time to read! Moral? Thank goodness, you alighted safely. I feel your pain and thanks for sharing. You inspired me to blog about my experience earlier this year flying to Australia and how I survived a long haul with various connections. I break it down into stages and don a variety of hats to navigate my way through the challenges. Do you find the more you travel the more resourceful you become or is it just more frustrating and stressful? Thank you for this comment, Suzanne. How long was your trip to Australia? I think it is very important to break things like that down into stages otherwise it will just get too overwhelming & mistakes will happen. I do find that the more I travel, the more resourceful I become. I do know that my blog makes it sound like I get frustrated often & easily, but that isn’t the case at all while I travel – I just notice the details. This was actually so entertaining to read. Thank you! I’m from South Africa so this was quite the relatable read. I’m so happy you can relate! Fellow South African expat! Are you working abroad or just traveling? Currently studying in Budapest. But would love to travel more! I flew Air Zimbabwe in 1993 from Cyprus to Harare on an old Boeing 707. It is funny looking back now on that experience, because the 767 we were supposed to take had mechanical problems and the smaller 707 was substituted on this once weekly flight from Germany to Cyprus to Harare. When boarding, there were no assigned seats and about 40 fewer available, so it was a mad “musical chairs” type scramble to find a seat! Then, the captain got on the radio and gave us a “pep talk” about how it was a good airplane even though it was old! Stepping off the plane in Harare, though, the fresh air and beautiful green trees made me excited to be safely there. I want to go back again one day and show my wife Vic Falls, Hwange Park and some other places I didn’t get to see during the business trip I took.